Are you on holiday on Lake Garda and you wish to spend a pleasant day in one of the most characteristic villages by the eastern side of the Benaco Riviera? Come to Bardolino. Visit the village and the hamlet of Calmasino and Cisano and discover the beauties of the Lakeland. Bardolino has got very ancient origins. Within the municipality many Roman finds were rediscovered, mainly of epigraphic motifs. Even the hamlet of Cisano was inhabited during the Prehistoric age, as the Bronze Age archaeological site by the small harbour, testifies. Calmasino, set in the heart of the countryside, where the renowned Bardolino wine is produced, is an old area of Roman colonization and was first cited in the 882 AD Exchange Act, where the majority of the written names are clearly of Lombard origin. Particularly evocative is the “Santa Maria” Parish Church, which underwent neoclassical renovation in 1854 on the pre-existing Romanesque church of 12th century, of which the gabled façade, the internal sections of the church tower and the semi-circular apse still remain. On the apse two heads are carved in a very low relief and for some are our ancestors Adam and Eve and for others two other donors. On the façade, near the porch canopy a knight on the left, an eagle, a horse and a fish on the right are carved as flattened reliefs and they are said to represent the clients of the church, such as the military and the people. This latter are symbolized by the fish (for the fishermen) and the horse with the transport packsaddle (for the farmers). Last but not least on the northern outside wall there are set some fragments of pluteus of the original Christian Church (8th century AD) which was destroyed in an earthquake. The biggest, oldest and most well-known event that is offered to the guests and tourists is the Grape and Wine Festival the Festa dell’Uva. A month before the beginning of the festival, which takes place in October, there are traditional kiosks offering fresh grape juice, as a “Grape cure”. 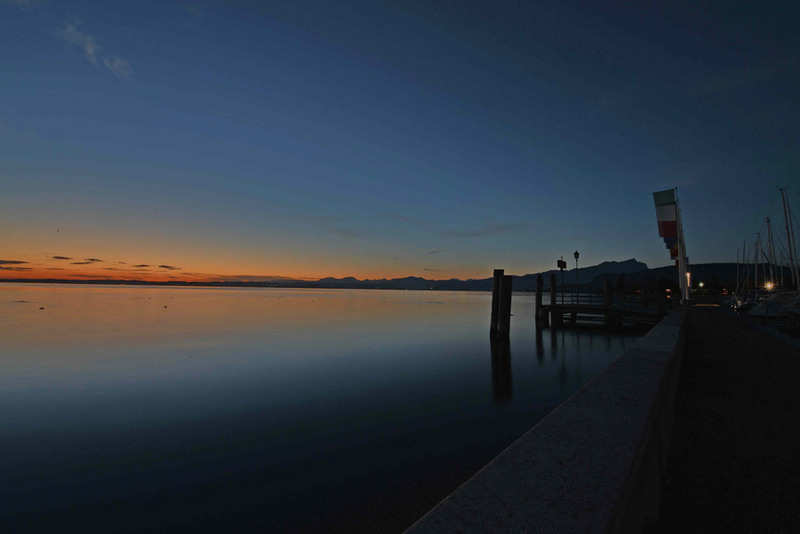 During this event, Bardolino transforms itself in a proscenium under a starry sky. The many local wineries offer, in the kiosks by the Lake, wine to taste and wine bottles to buy. Every guest gets their own glass in a pouch hanging on the neck, to taste the various types of local wine. To accompany the tastings there are various culinary proposals: sea and lake fried fish, all types of risotto, gnocchi, and fried flat bread with mortadella salami or chestnuts. Every evening is cheered up by musical performances, with traditional bands and for the little guests there is also a carousel and play areas. The pick of the event is reached late at night with the fireworks show over the Lake. The hamlet of Cisano, hosts the old “Sagra degli osei” (Birds festival), which was originally dedicated to all the activities connected to hunting, where now many salespeople present various types of birds. The festival, which normally takes place in the first week of September welcomes many culinary kiosks and musical events all connected to the birds theme, including the imitators of birds tweetings. In the town which has given the name to one of the most well-known DOC wines in Italia, first in Veneto Region since 1968 – there couldn’t have been without a museum entirely dedicated to the wine growing. The Olive Oil Museum is located not far away from Bardolino town center, on the Gardesana road, Calmasino direction, in the halls of the “Oleificio Cisano del Garda” company. Here you will find instruments and machines used for the cultivation and the harvest of olives. Among them it is worth mentioning: the hand lever presses, millstones and screw-presses called “strettoi”, and all tools and equipments normally present in an olive mill. Of particular interest is the accurate reconstruction of a 1800 olive press working perfectly, operated by a water wheel.